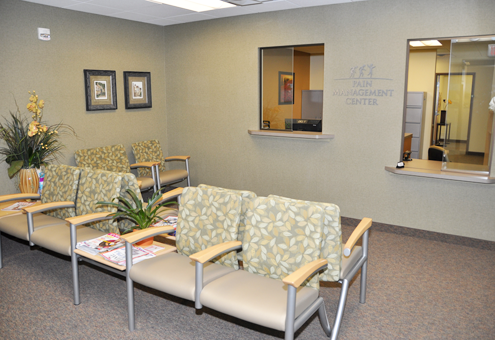 Relax as you wait in our calming, comfortable reception area. If you are in pain, you are not alone. Pain affects millions of Americans and has become one of the most common reasons why a patient visits a doctor. Over the past decade, advancements in the field of pain management have provided more effective treatment options, especially to patients living with severe, chronic pain. 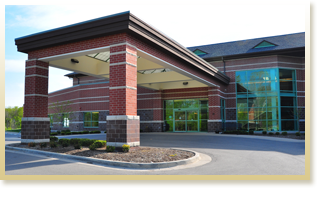 Located in suite G06 at Mid-Michigan Physicians’ (MMP) main office at 1540 Lake Lansing Road, the Pain Management Center of Lansing is ideally positioned to help patients living in the mid-Michigan area find significant pain relief and enjoy an active, rewarding life. The expertise of our Michigan pain specialists includes diagnosis of all types of acute and chronic pain conditions, as well as pharmacologic recommendations/management, advanced interventional pain management techniques, and individual and group-based pain psychology programs. We can also provide patients with information and appropriate referrals relating to other modalities of pain management, including rehabilitation medicine and physical therapy. At the Pain Management Center of Lansing, we know that pain is subjective, meaning everyone feels pain differently. We also know that pain is not just physical; rather, it can affect functional, emotional, and psychological aspects of one’s life as well. For these reasons, we apply a multidisciplinary approach to pain management and create an individualized treatment plan for each patient so that they can expect the most comprehensive, effective, and least invasive treatment for their pain complaints. From our clinical staff to our office receptionist and everyone in between, we at the Pain Management Center of Lansing provide all of our patients with the quality care and compassion they deserve. Browse our website to find our more information about one of the longest running and most experienced pain management practices in the mid-Michigan area. Request a First Appointment at the Pain Management Center of Lansing and know that your health and well-being is in trusted hands. We are pleased to announce our partnership with the Department of Neurology at Michigan State University (MSU) in caring for patients with headache. In September 2010, we began working with Dr. Amit Masih to assist our team in treating chronic headaches, including migraine. Dr. Masih continues to see our patients in his office at MSU.